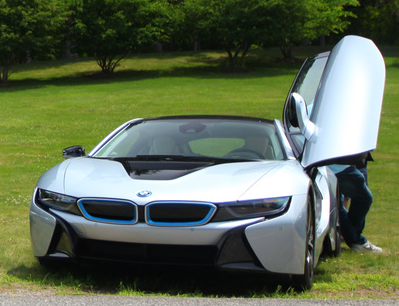 The annual Ramapo Concours d’Elegance will highlight 100 years of BMW with show classes dedicated to the automaker’s rare models, early motorcycles, the M series, and the BMW 2002. The annual Ramapo Concours d’Elegance will highlight 100 years of BMW with show classes dedicated to the automaker’s rare models, early motorcycles, the M series, and the BMW 2002. The event is June 11 at Ramapo College in New Jersey. In addition to classes featuring significant BMWs, other classes include micro cars, ’60s American muscle cars, retired race cars, rally cars, and Lamborghinis and Ferraris. The Ramapo Concours is held to benefit young people in New Jersey and the Hackensack University Medical Center. Other features of the Ramapo concours include health screenings for blood pressure, body mass index, and derma scan screenings, an art exhibit, and college campus tours throughout the day. Following the concours, show participants are invited to take part in the concours drive held June 12. The tour starts at Ramapo College and takes drivers on a scenic route before reaching the final location where a catered lunch awaits. Dave DeLuca, a long-time car enthusiast member of several clubs, including the Porsche Club of America and the Ferrari Club of America, will be the concours head judge.